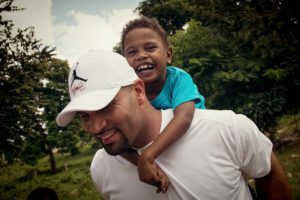 Bigger Than The Game If you ever have the privilege of visiting the home of Albert and Deidre Pujols there are a few things that are certain. The first is that Deidre will offer you something wonderful to taste from her kitchen. The second is that Albert will show you his award. Keep in mind, Albert Pujols has amassed almost every award and trophy Major League Baseball has to offer and he has each one displayed in a marvelous trophy case in his home. However, across the room, centered on his mantle is one single award, separated and set apart from the rest. It is the single award that he holds as his greatest accomplishment – above his Rookie of the Year, Hank Aaron, Silver Sluggers and three MVP awards. 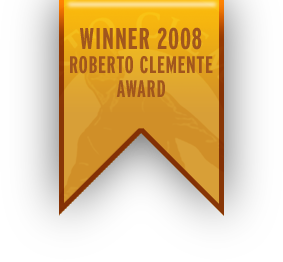 During the 2008 World Series in Philadelphia, St Louis Cardinals’ first baseman Albert Pujols was given the Roberto Clemente Award for his work through the Pujols Family Foundation. This award is given to the player who combines outstanding performance on the field and work in the community. 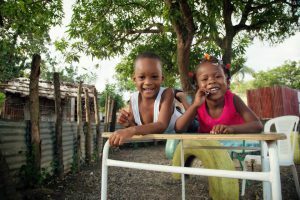 It is named in honor of Pittsburgh Pirates outfielder, Roberto Clemente, who died on Dec 31, 1972, during a humanitarian mission to assist earthquake victims in Nicaragua. Albert Pujols has had another stellar year with the St. Louis Cardinals. However, it is his extensive and dedicated off-field efforts that have earned him this year’s Roberto Clemente Award. 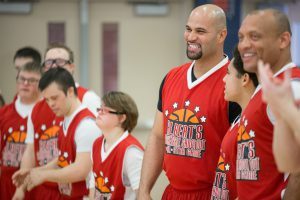 Through the Pujols Family Foundation, Albert has been able to improve the lives of children and young adults with Down syndrome in St. Louis, Kansas City, Nashville, & Southern California, as well as provide much-needed support to underprivileged children in his home of the Dominican Republic. He also sets time aside to support other organizations and causes, including the Boys & Girls Club of America and the Ronald McDonald House. 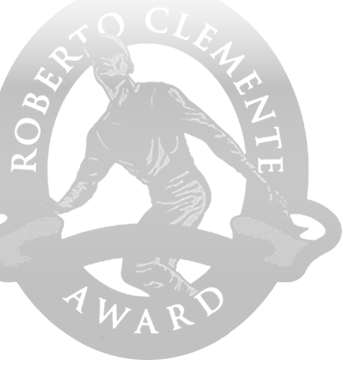 I would also like to thank our partner Chevy, whose generous financial support of this award is instrumental in continuing the legacy of Roberto Clemente,” MLB Commissioner Bud Selig said during the presentation. On the field, the Cardinals first baseman hit 37 homers, drove in 116 runs and batted .357. “I would ask him that question, because I know what he would say; ‘Because it was my responsibility’. I feel the same way. It is my responsibility”. Today, sitting alone in a place of honor, centered over the fireplace in the Pujols’ home is a constant reminder that some things in life are bigger than the game, bigger than ourselves. Some things are worth living for and even dying for. Most things we do out of want. Some things we do out of need and very few we do out of responsibility. Those are the things that last.